SKC finds themselves in the group West and is fifth on the table with 25 points from the 19 games they have played, four points below LA Galaxy and above on goal difference from Whitecaps FC whereas NY City are the group leaders in the group East with 30 points from the 19 matches they have played till now, one point above Philadelphia Union. 11th July 2016 at 05:30 (IST). 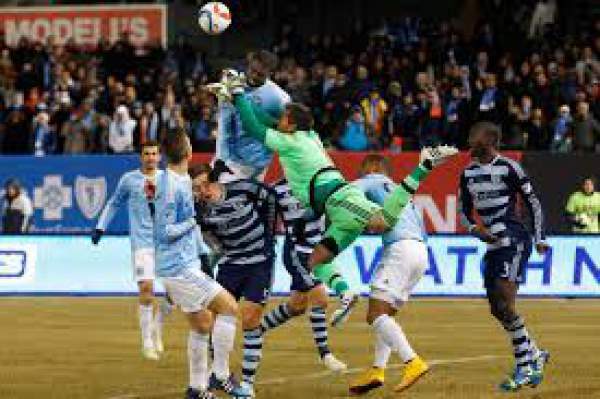 Sporting KC is 5th on the table with 25 points as they have won seven games, drew four and lost eight in total out of the 19 games, scoring 21 and conceding 22 goals in total. Out of the 21 goals, they have scored seven were headed goals, they have had 1838 duels and 45 offsides till now, they have scored these goals out of the 209 shots they have had on the goal with an accuracy of 39%. Let us take a look at their defensive stats, they have made 395 tackles and won 291 out of them, have done 297 clearances and blocked 35 shots. In their last five games they have won two, drew two and lost one, they won against Dallas by 2-0 and against Columbus Crew by 3-2, drew against LA Galaxy by 0-0 and against Montreal Impact by 2-2 and lost to DC United by 0-1. NYC are the league leaders with 30 points in the 19 matches as they won eight, drew six and lost five games, scoring 30 and conceding 31 goals in total. With an average possession of 55% they have a pass accuracy of 78%, out of the 30 goals they have scored three headed goals, have had 1968 duels and 33 offsides, they also have made a total of 208 shots with an accuracy of 47%. In their last five games, they have won four and lost one. Mustivar, Melia, Medranda, Opara, Salaam, Espinoza, Feilhaber, Peterson, Dwyer, Zusi. Iraola, Saunders, Mena, Brilliant, Allen, Matarrita, Pirlo, Lampard, McNamara, Villa, Harrison.